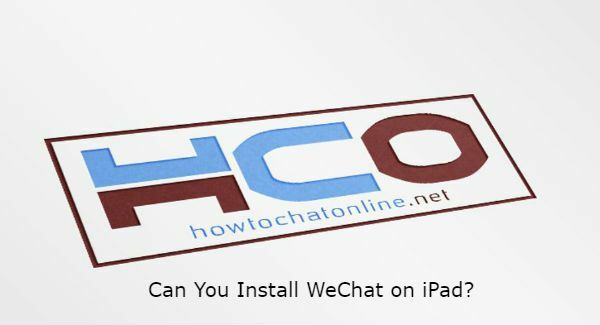 Can You Install WeChat on iPad? Yes, you can install WeChat on iPad but you will need to activate that application with a phone number. If you don’t have a phone number to activate it, you will not able to use it with ordinary ways. You can see our guide for getting WeChat account without a phone number: How to Sign Up WeChat without Phone Number. This guideline will help you to get an account without a phone number but we recommend you to stay away from this if you want a permanent account. Since you will need to use free SMS services for that. This guide can also help you about that: Can I Login WeChat without Phone Number? Can You Install WeChat on iPad? If so, How to Install? Search for WeChat or you can download WeChat directly via clicking here. Download and Install application on your iPad device. Enter your phone number at the sign up stage. Verify your phone number with SMS. That’s it, now you have the application on your phone. We have already mentioned about this in our recent posts about WeChat. However let’s give information for those who have missed that info on How to Chat Online. Go to Google and look for a free SMS receive service. There are generally virtual phone numbers on those services. Select one of those phone numbers and enter that number at the registration process. Renew the phone number page of SMS receive service. When you get the SMS, activate your account. We don’t recommend this for those who wants to have a permanent account since those numbers are public. If you want a permanent account, we recommend you to have one through official ways. If you cannot install WeChat iPhone, you can read our troubleshooting tutorial for that.